Do you have this product in stock? 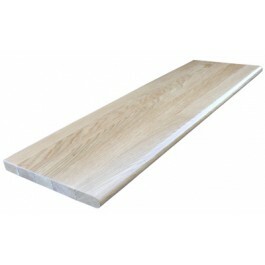 We are building now and the red oak stair tread we ordered won't go with the natural hickory flooring selected. White oak or ash would do better. Which one is in stock. Not sure of the measurement at this moment, but it is about 42". Will confirm.